With integrated advancements in cutting-edge mobile app development technology, alongside core features of transportation and logistics, our Transportation and Logistics mobile apps help simplify complex challenges that businesses in this industry face. Our customized advanced transportation and logistics solutions integrate the core aspects of your business with cutting-edge technology to allow business executive gain full control over your business processes. Improve your business’s supply chain workflow, easily track all vehicles in real-time, and experience instant communication with your employees. Reduce paperwork to a minimum with digital form fills, submissions and easy access to documents. Every vehicle needs a thorough examination before hitting the road. Create custom checklists based on employee job profile to reduce risks. Provide emergency contact details and such. Manage supply chain workflow and inventory on-the-go. 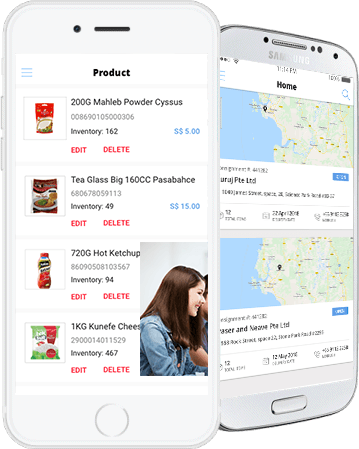 With the Mobile App Maker Transportation and Logistics app, you can track all shipment in real-time, provide easy navigation to drivers, improve employee job fulfillment and incorporate cutting-edge tech solutions like bar-code scanning, delivery and sign capture and such.